On 5th December the National Assembly (NA) passed the Information, Communications and Media (ICM) Bill of Bhutan 2017 with 44 votes in favor of the bill. They passed the bill to create and promote a Bhutanese information society and the right environment for the vibrant growth of ICT and media sectors line with the principles of GNH. In addition, the Bill aims to ensure quality, diversity, and choice of ICT and media so that the country benefits from the opportunities presented by new development in the sectors. However, the center piece of the ICM bill of Bhutan 2017 is that it allows the establishment of a Media Council and a National Film Commission. 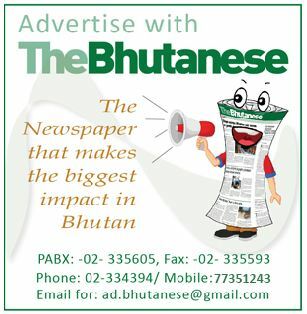 The bill states that the Ministry shall establish an independent Media Council supported by a Secretariat, to promote and protect freedom and independence of the media, serve as a standard setting body to promote and enhance ethical and professional standards amongst journalists and media enterprises for media practitioners and accredit and certify the Journalists practicing in Bhutan. In addition, it is also to regulate or curtail any harmful, offensive, illegal or antithetical content on the internet and other ICT and Media services, unless otherwise provided under specific provision in this Act and set standards and guidelines in accordance with the overall media related codes and standards set by Bhutan InfoComm and Media Authority (BICMA). Media council is also to hear the complaint and settle the dispute in relation to offences of content not amounting to criminal offences which are prescribed under the Rules and Regulation and provide recommendation on matters affecting the media sectors to the Ministry and Regulatory Authority. Furthermore, it is to ensure objective and fair treatment of any person by the media, protect general public and more specifically vulnerable sections of the population such as children and young persons from undesirable influences of all Media services and frame Rules and Regulations on matters relating to the Media Council. Inline to this, the new section added to bill on the Secretariat to the Media Council states that, there shall be permanent secretariat to the Media Council headed by an Executive level officer appointed by Royal Civil Service Commission and the head of the Secretariat shall serve as the member secretary to the Council and the legal representative of the Council and implement the decisions of the Council. The Media Council shall meet at least four times in a year at such times and place as prescribed in the Rules and Regulation to be adopted by the Media Council, and optimize every such meeting by consolidating the agenda items. The meeting of the Media Council shall be chaired by the Deputy Chairperson elected amongst the member in absence of the Chairperson. The Media Council in that sense serves the dual purpose of protecting both the media content consumers and at the same time lays down clear and transparent parameters for the media. It is also one body that an aggrieved person can approach instead of directly heading to the court of law. Meanwhile, when it comes to a National Film Commission (NFC), the Minister will establish the National Film Commission supported by a permanent secretariat. The main function of the NFC shall be to provide film grants through a dedicated film development fund for meaningful mainstream films, art film and other non commercial films. Similarly, the other functions are to encourage and provide support for the research and development of a Bhutanese film, facilitate in organizing film award and festivals to recognize film of excellence and to promote film culture and to participate in international festivals to promote Bhutanese films, scripts for co-productions, and locations. Providing necessary professional support to film production firms including training and capacity development, promote distributors in Films within and outside country and providing recommendations on matters relating to Audio visual and other entertainments are also some of the functions of NFC. The Government shall ensure National Film Commission is adequately financed to enable it to exercise its functions and discharge its responsibilities as provided under this Act. The new section states that the rate of fees and charges shall be approved and levied by the National Film Commission in accordance with the relevant laws. However, all fees charges and royalties collected by the film commission shall be deposited in the Government revenue Account. In addition, the Film Commission shall manage the Film Development Fund in accordance with its Rules and Regulations. The NFC will give a big boost to Bhutan’s film sector through both focused development and also self regulation. The bill also discusses about the quality of ICT service whereby it states that, an ICT and Media facility and service providers shall make reasonable endeavor to ensure that their facilities and services are reliable, affordable and accessible; provided with due care and professional skills; and rendered in accordance with the standards reasonably expected of a competent provider of those ICT and media facilities and services. The bill includes a section of prohibition of online gambling where a person shall be guilty of the offence of gambling if he knowingly engages in betting or wagering with the use of an ICT facility or ICT service. In addition to the penalties prescribed by the Penal Code for this offence, an additional fine may be imposed as deemed appropriate by the Court. The section shall not affect the possibility for a Court or the Authority of requiring the ICT facility or ICT service provider and the Internet service provider to terminate or prevent an infringement. For the purpose of the Act, the Ministry, the Authority, Media Council and National Film Commission in consultation with representatives of business enterprises and consumers, and providers of ICT facilities and Services may develop and issue rules and regulations which will provide further clarity. However, they have to take into consideration the interest of the sovereignty, security, unity and integrity of Bhutan, interest of peace and well-being of the nation and objects and ensure that other provisions of this Act are not contravened. There are few sections in the bill which retain the original section of the old ICT bill. Bhutan’s new ICT Bill also allows the laws to be updated to the new developments in the ICT sector.